The Jason Mraz biography is the story of a musician who took a slow and steady road to music success. Mraz was not an overnight sensation, but he now has legions of loyal fans that were built over years of touring and working hard. Jason Thomas Mraz was born in the small town of Mechanicsville, Virginia on June 23, 1977. He grew up in Virginia, and after high school moved to New York to study at the famed American Musical and Dramatic Academy. Mraz studied musical theater there, but did not last long. He moved to San Diego from New York to concentrate on making music his career. Mraz made the transition to full time musician in 1999, but he did not get his first big break until 2002, when he made his major label debut with the album Waiting For My Rocket To Come. The album was well received by the critics and sold reasonably well. It also spawned a string of hits on the adult contemporary charts. Mraz toured in support of that album, and eventually, in 2005, was invited to join Alanis Morissette on her Jagged Little Pill acoustic tour. In support of his tour, Mraz released a second album, Mr. A-Z. This album proved to be the breakthrough album for Mraz. Mr. A-Z went straight to number 5 on the charts when it was released. The album was produced by renowned producer Steve Lillywhite, who has worked with everyone from Ultravox to the Dave Matthews Band. Lillywhite was nominated for a Grammy for his work on the album. After opening for Alanis Morissette on her tour dates, Mraz joined the Rolling Stones on tour as their opening act, helping him to reach an even wider audience. Post Rolling Stones tour, Mraz began his own tour in support of the album and remained on tour for nearly two years straight. It was also during this period that Mraz reworked one of his older songs, Plain Jane, to turn it into a song for a promotional tool for the TV show Ugly Betty. The new version of the song is called The Beauty in the Ugly. Mraz followed up Mr. A-Z with his third album, We Sing, We Dance, We Steal Things. The debut single from this album, I'm Yours, has been Mraz's biggest hit, rising all the way to number 6 on the charts in the US. The song is actually well known to long time Mraz fans, as it was a b-side to an older single and popular song for Mraz to do live. The song earned him a nomination for the Best Song of the Year and Best Male Pop Performance at the Grammy Awards. Mraz stays on the road touring most of the time, and he has tons of loyal fans who travel around to different cities to see him play. He has become known for his bootleg policy at his shows. He encourages his fans to record his shows and trade them among themselves, as long as they don't sell them. 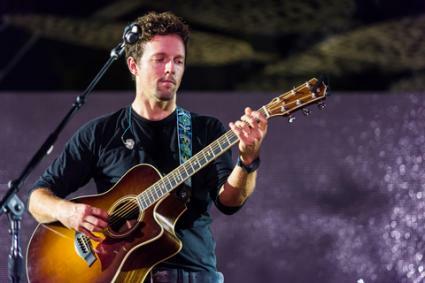 Depending on the venue, Mraz sets aside special tickets for people who wish to tape the shows so that they can get the best sound without disturbing other concert goers with their recording equipment. Mraz does limit the taping of his shows to audio only - no video cameras are allowed. Further, he has a hotline set up for fans to report any selling of bootleg recordings they encounter. Further information about Jason Mraz's bootleg policy can be found on his website.